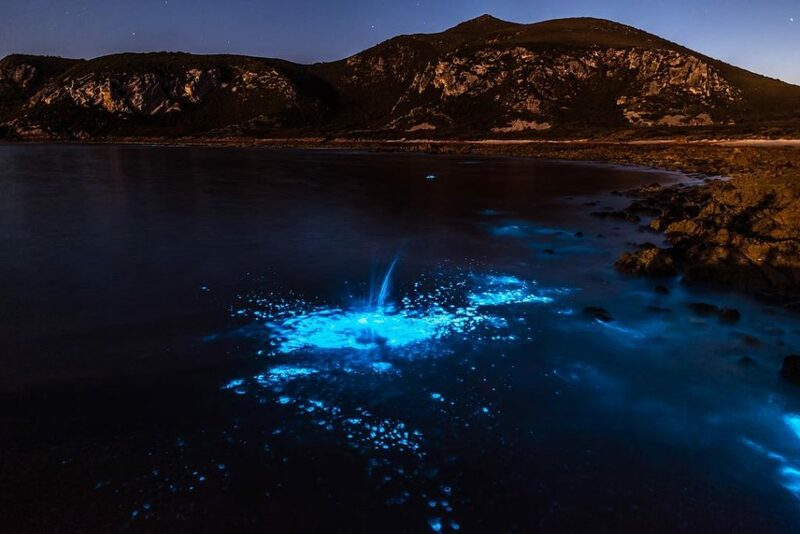 An unusual phenomenon has left locals gobsmacked as bioluminescent algae turned the sea at Tasmania’s Preservation Bay sparkling bright blue. 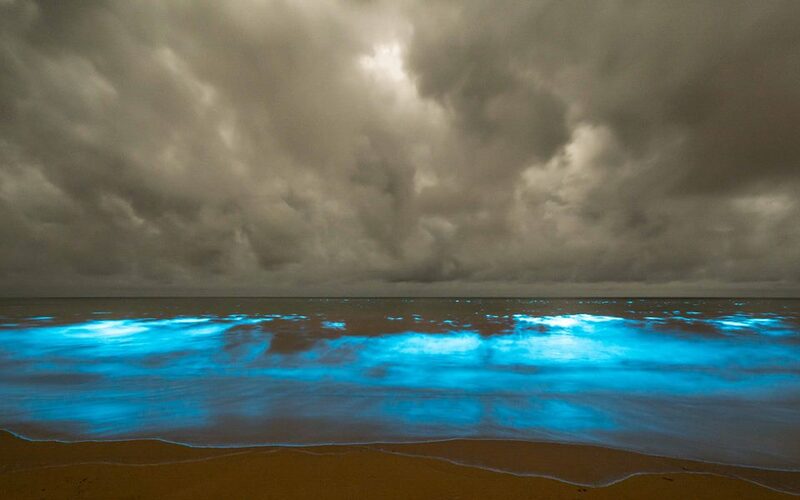 Noctiluca scintillans more commonly known as Sea Sparkle is a species of algae that uses bioluminescence for protection. When they feel threatened the tiny organism emits light as a defence mechanism, the flashing light they emit is deployed to scare off predators. The algae are not toxic although can cause skin irritations in some people. 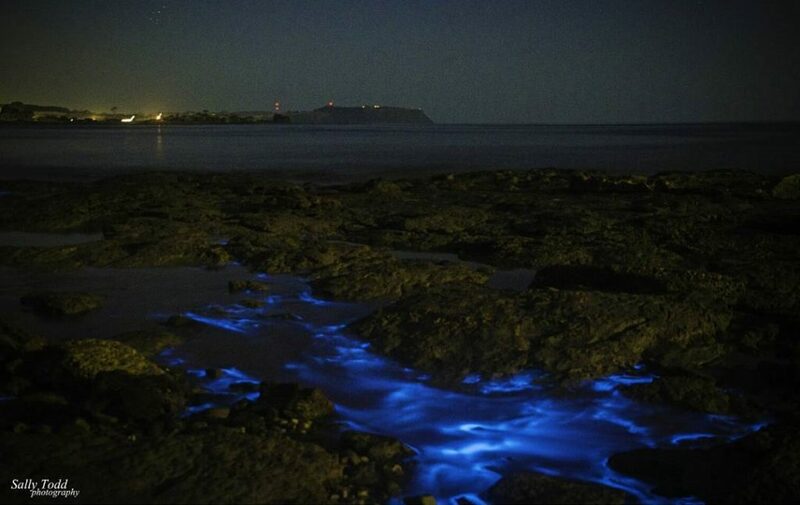 Locals have been treated this week to a delightful night time light show as the algae create a beautiful iridescent blue shimmer beneath the waves.